If you wish to receive offers, announcements and news from our online shop, or other matters related to the world of ham, please subscribe to our Newsletter by keying in your email address. 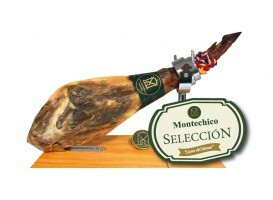 Iberian acorn ham, seal of guarantee by ‘Salamanca Ibéricos’. 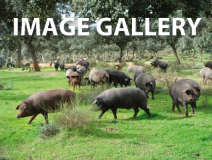 In “MONTECHICO”, in the heart of Salamanca meadows, itself the cradle of Iberian ham along with the town Jabugo and Los Pedroches Valley, where our Iberian breed pigs go out to pasture in freedom. 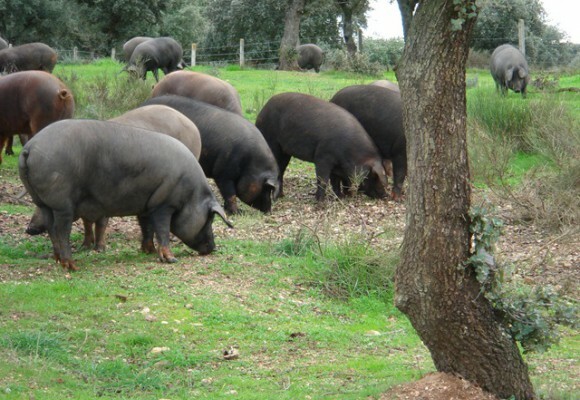 Our pigs are bred in a completely natural way during the entire year, and they are fed with acorns from hundred-year-old Holm oaks during the 'la montanera' fattening period. 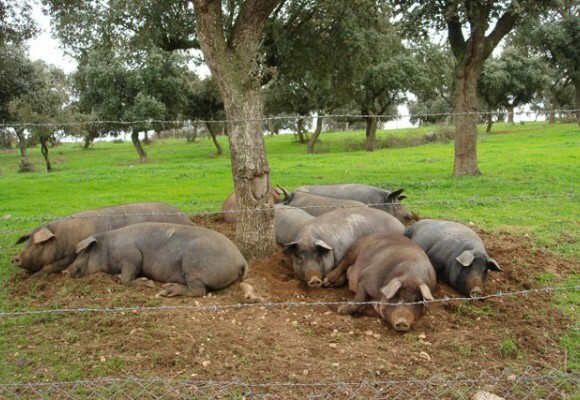 It is only by means of a limited and select production that we can breed pigs in freedom for the whole year, in a perfect environment for rearing this kind of cattle. 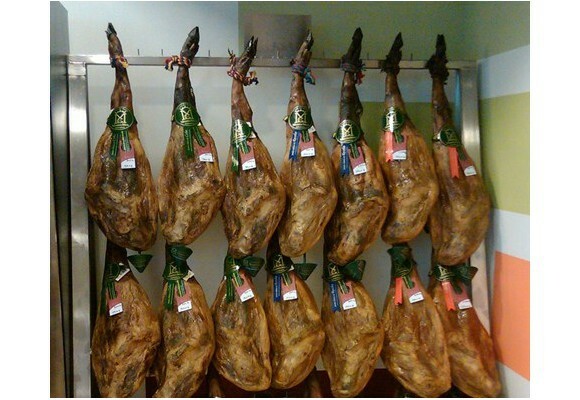 We offer the best products -ham, pork shoulder and Iberian cold meat, which are subject to a strict quality control during the curing (maturation) time. The special temperature and humidity conditions of our climate provide our ham, pork shoulder and cold meat a pleasant taste that makes them different. In “Casas del Monte” MONTECHICO, with over 50 years of tradition behind, we offer a select variety of Iberian products, such as Iberian acorn ham, which is an authentic delicacy. Undoubtedly, we are the best option to buy Iberian ham and pork shoulder. Always with the seal of guarantee by ‘Salamanca Ibericos’. healthier and of course delicious. Iberian acorn ham is a delicacy for the entire family.